Houston, TX – May 18, 2010 –TheCageDoor.net, in conjunction with DNC Worldwide Network, will be teaming up with Houston area Mixed Martial Arts (MMA) fighters for a local community outreach project here in Houston on May 29, 2010. Eight fighters (pro and amateur) have volunteered their time to team up and work together for the purpose of providing meals to the underprivileged in several areas of Houston. Many of these fighters have either already fought each other, or will be fighting each other in upcoming events. “Often times in MMA, especially in the local scene, competitive fighters and fans can get caught up in gym rivalries and cage battles. The fighters who are helping us out with this initiative are showing the rest of the city that it’s ok to battle in the cage then work together outside of it,” said Richard Burmaster, co-owner of TheCageDoor.net. The fighters will be meeting at the Mezzanine Lounge at 10:30am to begin making lunches. Once the meals are made and packed, they will then split up into teams and canvass Houston to distribute the food to the homeless population. This pilot program will lay the ground work in the near future for a much broader and farther-reaching community involvement effort from the Houston MMA scene. TheCageDoor.net is already in the planning stages to combine efforts and work with the community (both local and MMA) in coordinating and promoting volunteer efforts for the real non-profit charities that do this type of good day-in and day-out. Fighters, fans, gym owners and everyone interested in giving back will have a chance to work with designated local charities. “It is our hope that this combined effort between fighters who compete against one another, and train at different gyms, will set an example. What we want this to be is a catalyst for the entirety of the MMA community to get involved in their local communities. Fighters, fans, and everyone involved can make a difference. It’s about increasing awareness. Good people can really do great things if they put their minds to it.” said Mike Calimbas of DNC Worldwide. The media is welcome and encouraged to come out and cover what is sure to be the first of many positive efforts from TheCageDoor.net and the MMA community as a whole. Please join us on May 29, 2010 from 10:30am until 2:30pm at the Mezzanine Lounge (www.mezzaninelounge.com), located at 2200 Southwest Freeway, Suite 150. The fighters as well as the event coordinators will be available for photos and to answer questions before, during and after the event. TheCageDoor.net is a Houston based website dedicated to covering the Houston MMA scene. The site was started in October of 2009 by Richard Burmaster and Barry Laminack and has experienced tremendous growth since its inception. The site, located on the web at http://www.thecagedoor.net, provides a mix of Houston MMA news, local fighter interviews, pre and post event coverage, live event updates, fighter blogs, a Houston focused MMA forum and a comprehensive Houston area gym and fighter database. DNC Worldwide is a networking group for individuals dedicated to building a brighter future. We are made up of motivated, energetic professionals who aspire to be future leaders within our respective professions AND communities. We accomplish this by encouraging members to get involved and make a difference by becoming active participants in the professional, civic, and social aspects of their networks. Please visit www.dncworlwide.com for more information. I’m here with Amber Rodriguez, Founder and Executive Director of Noah’s Kitchen, a non-profit organization providing nourishment, nutritional education, and other assistance to the under-privileged in Houston. 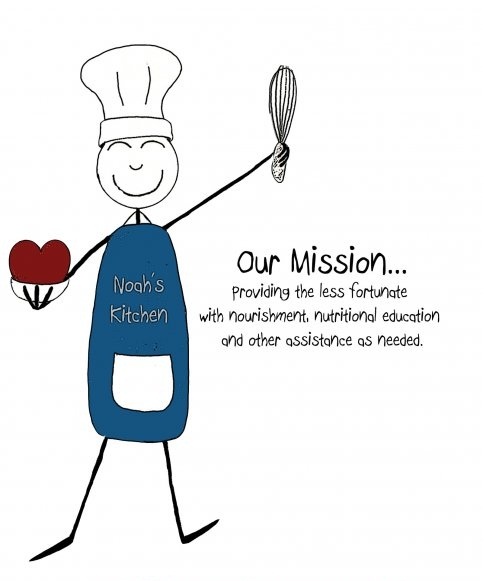 We’re going to talk briefly about Noah’s Kitchen, their mission, and giving back to the local community. Mike: I’m sure our readers and the community at-large here in Houston would like to know a little bit more about Noah’s Kitchen. How did you get started? Amber: Actually, I got laid off this past September. I had to file for unemployment and wanted to make the best of my free time, with my son. We volunteered for the WM Superfeast and started getting involved with Charity Chicks of Houston. Noah loved being part of something good. I started talking to various people about ideas (I’ve always loved to cook) and before I knew it, it went flying! 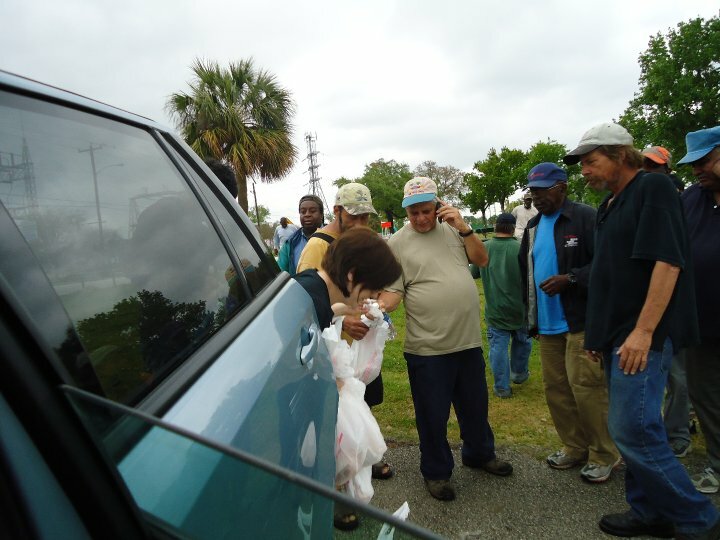 Mike: What motivates you to champion this cause of feeding the needy? Amber: I honestly can’t pinpoint it. For years I have picked up an extra meal at the drive-thru to give to someone holding a sign, declaring their hunger. I know their pride has been pushed aside for their need and that must be so difficult to go through. It always makes me so sad. I don’t care how someone got there and what they are or are not doing to help themselves. They could be someone’s mother… someone’s father… And always someone’s Child. I don’t have money to give but if I can help make somebody’s day just a little easier by feeding them, I will. Mike: My family and I briefly stopped by last Sunday for the Viva Houston Party you invited us to. To my surprise, you were front and center volunteering and playing host for that event, which helped launch the new community mural downtown. You seem to be very involved with these types of events locally, and I’ve seen the hash tag on Twitter – #SLGT. (Support Local, Grow Together). Our network here in the DNC family shares that exact mantra – good people & organizations helping one another. Are you always involved in these types of local events? Amber: It was very nice to see you, your girlfriend, and handsome little guy make it out to the event. If I can be a part of something good and much bigger than myself – I want in! =) Houston is an AMAZING community. It’s pretty simple actually. If we support our neighbors – it’s near impossible to fail. As the always awesome JR Cohen says, “It’s not about me- it’s about how I can help YOU.” We are so glad to have you guys be part of us – It’s wonderful people such as yourself that are helping us grow. Mike: How is the local community chipping in getting the word out about Noah’s Kitchen? Amber: Gosh. It started over Twitter and truly, word of mouth is the best form of advertisement. Amber Roussel and Mark Austin are doing amazing things for us right now. They are participating in the Fiesta movement and have pledged a car to Noah’s Kitchen if they win. They are participating in FUN missions which bring together the community and showcase a lot of local talent and businesses. During the missions they are raising awareness for us, volunteers, and donations to help keep us running. We have so much love for them! Are there any other local causes here in Houston that you personally want people to rally behind? I honestly can’t narrow that down. I’m a firm supporter in SLGT and there are so many causes that they support. I look to them to know where I need to be. Mike: We’re taking up too much of your time here so just a few more questions….You have a meet-up scheduled for this coming Sunday at Coffegroundz. Can you give us some details on that and volunteering for Noah’s Kitchen in general? Amber: Absolutely. We get together and make sandwiches and put together bags with an ‘affordable’ nutritious meal including a beverage too. (As we grow we’d like the meals to be hot and completely balanced.) We then go out in ‘safety teams’ to distribute the food to the less fortunate. Everyone has fun and it seems like we are always getting new ideas on how to grow through these gatherings. The ‘food’ dates are listed on our facebook events page. I’m currently working on adding events to our calendar so that we can have Noah’s kitchen Teams go in the community and volunteer at other various charitable events. Mark and Amber set up a way for people to pledge hours to volunteer here, as well. Mike: How can others help in the future if they can’t make it Sunday? Mike: Thanks for your time Amber. Amber: See you soon! Thank you so much for taking the time to find out more about us. I look forward to working with you again soon, too! Cheers and #SLGT!! !